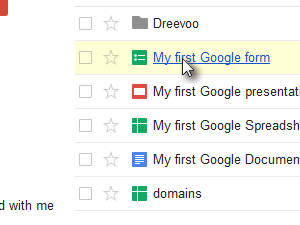 You can organize your documents in so called collections in Google docs, let me show you how easy it is. 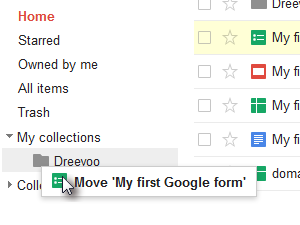 Sign-in to your Gmail account and click Documents in the Google menu (see picture). 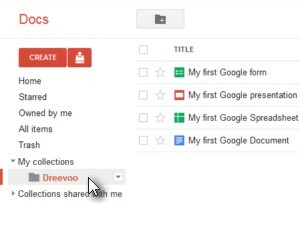 Or you can go directly to Google Docs by clicking the following link docs.google.com, but you still need to sign-in to your Google account when asked. 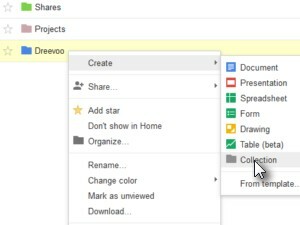 When in Google Docs click Create and choose Collection. 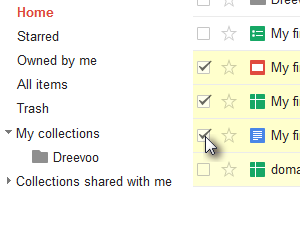 Collections are pretty much the same thing as Folders you may know from Windows or Mac OS. 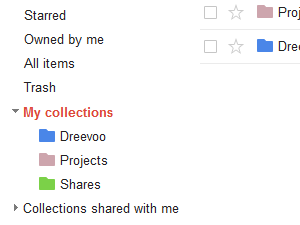 Enter a name of a folder/collection and click OK.
And here is new collection, under My collections. 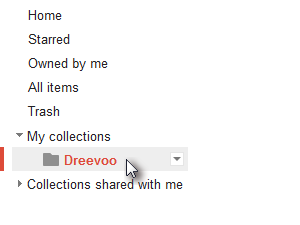 Collection named Dreevoo in my case. Let's now put an existing document into a collection. ... and simply drag it to a collection. ... and just drag them into a collection. 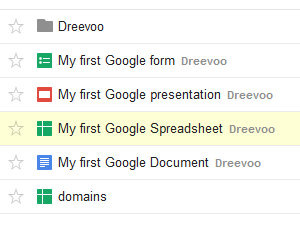 If document is a part of a collection, then you will see a name of that collection at the end of a document name. 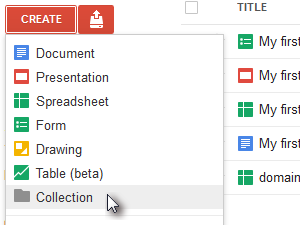 If you click a collection, all documents that are part of the collection get listed. You can also change a color of collection. 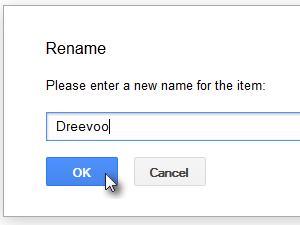 Right click a collection, click Change color and choose a color. 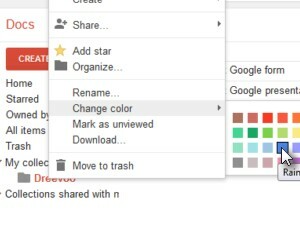 Colors are a nice way to organize your documents, if you are a more visual person, as most of us really are. 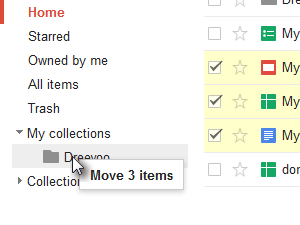 You can create a collection in a collection as well. Right click a collection, click Create and choose Collection. 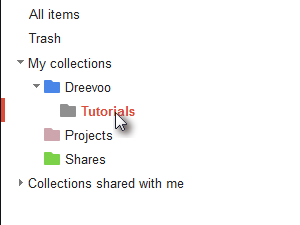 Here's my Tutorial collection in collection Dreevoo.